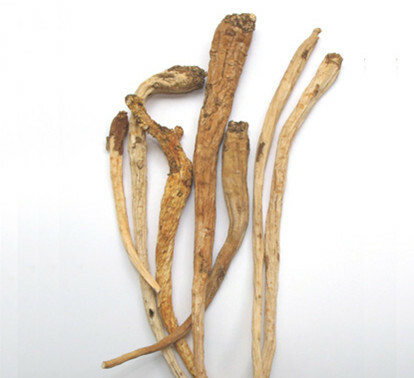 The drug is the dried root of Psammosilene tunicoides W. C. Wu et C. Y. Wu (family Caryophyllaceae), growing on sandy alkaline soil in pine woods, and dry waste-lands or crevices of cliffs distributed in Yunnan, Sichuan, Guizhou of China. Bitter, pungent, warm, slightly toxic; liver meridian entered. Dispel wind and eliminate dampness, dissipate blood stasis and alleviate pain, remove toxicity and resolve swelling. Stomachache, rheumatic arthritis, traumatic injury, traumatic hemorrhage; sores and boils, snake and insect bites for external application. Decoct 0.1~0.3 g, or soaked in wine. Proper dosage is for external application, pounded into powder for applying on the affected area.